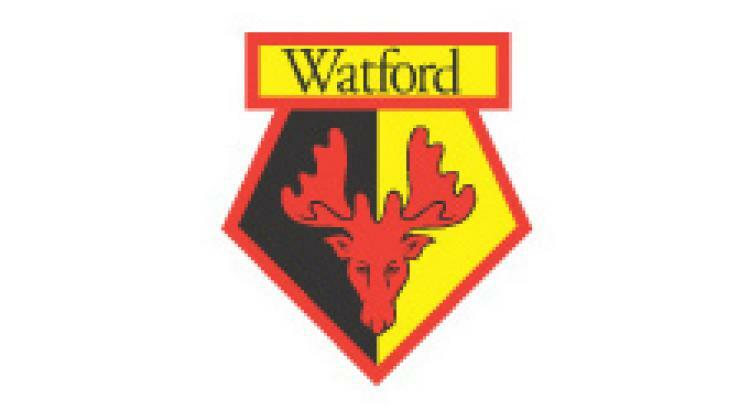 Watford twice came from behind to draw 2-2 with Eddie Howe's Bournemouth. Howe this week played down speculation he will succeed Sam Allardyce as England manager and the Cherries boss has more immediate concerns in the Premier League. Callum Wilson's first-half strike was cancelled out by Troy Deeney. Josh King restored the lead moments after coming off the substitutes' bench, but the Hornets levelled for a second time through Isaac Success three minutes later. Jack Wilshere might have won the match for the visitors - and put a dampener on Watford head coach Walter Mazzarri's 55th birthday celebrations - but could not hit a gaping goal from six yards out. If this were an audition for England then Wilson and Deeney stood out, although Holland-born Morocco winger Nordin Amrabat outshone them both. It was not one of Howe's team's better performances. There were nine England-qualified players in the visiting starting XI, but Wilshere did little to stake a claim for inclusion in Gareth Southgate's squad for the forthcoming World Cup qualifiers with Malta and Slovenia. Wilson was a handful for Younes Kaboul and Sebastian Prodl from early on. Prodl fouled Wilson and the resulting inswinging free-kick from Junior Stanislas was tipped over by Heurelho Gomes. Wilshere's most meaningful contribution in the opening half-hour was a late tackle on Camilo Zuniga which saw the on-loan Arsenal midfielder booked. The Cherries were rewarded for their perseverance when Adam Smith and Deeney were in a tangle on Watford's left. The ball broke for Stanislas whose cross looped off Jose Holebas and was met by Wilson with a firm downward header which bounced beneath Gomes. Amrabat was twice denied by Artur Boruc in quick succession, although his shots were straight at the Poland goalkeeper. Wilson next ran infield and teed up Andrew Surman, who screwed his shot well off target. Prodl headed wide from a Holebas free-kick before Watford equalised five minutes into the second half. Amrabat easily took the ball round Charlie Daniels on the right and cut it back for Deeney to tuck in. Wilshere almost restored the lead, hitting the outside of the post after a run and left-footed shot - his one moment of quality - before the Cherries did score. King replaced the ineffective Jordan Ibe moments before a twisting and turning run which evaded Valon Behrami. He then struck an ambitious shot which beat Gomes, but only after deflecting off Kaboul. The advantage was short-lived as three minutes later Bournemouth failed to contest Holebas' free-kick from wide on the left and Success' header drifted in at the far post. It was the Nigerian's first goal since his club record B#12.5million move from Granada. The momentum was with Watford. Wilshere could have turned it against the run of play but failed to convert Smith's cross across goal before being replaced. Holebas looked like he thought about kicking out at Harry Arter off the ball, then realised referee Mike Dean was right next to them. Stanislas hit the bar with a free-kick and success shot straight at Boruc as the match finished level.